Dr. Fadi Aramouni was born and raised in Beirut, Lebanon. He received his B.S. in Biochemistry in 1977, and his M.S. in Food Technology in 1980 from the American University of Beirut. 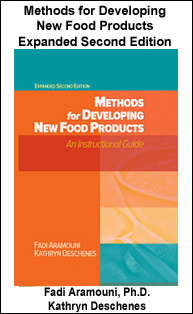 Dr. Aramouni earned his Ph.D. in Food Science in 1986 from Louisiana State University. He joined the Kansas State University Department of Foods and Nutrition in 1989, then the Department of Animal Science and Industry in 1995. Since July 1999, his responsibilities have been 0.85 Extension/0.15 Teaching. His teaching responsibilities include “Research and Development of Food Products”, “Principles of HACCP’, “Advanced HACCP Principles” and “Fundamentals of Food Processing”. Since June 2002, Dr. Aramouni has been a Professor and Extension Specialist with the Department of Animal Sciences and Industry and a member of the Food Science Institute. supervising the activities of the Rapid Response Center staffed by an Extension Associate to provide quick answers to questions received primarily from Kansas County Family and Consumer Sciences Extension agents. Dr. Aramouni has published many journal articles in collaboration with Thomas J. Herald, Ph.D., and Elizabeth Boyle, Ph.D. Coordinator of the Value-Added Program for theFood Science Institute. Chair of the Long Term Intended Outcomes for Food Safety and Quality. Recent honors include “Outstanding Food Scientist Award”, “Professor of the Year” nominee, and “Faculty Excellence Extension Award”.